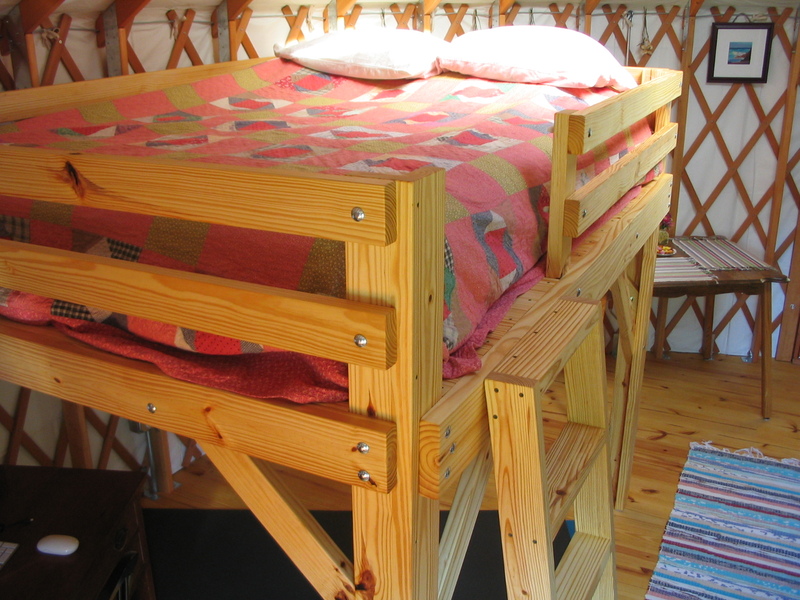 Gavin put the finishing touches on the loft bed yesterday, so we now have a bit of extra square-footage in the yurt. 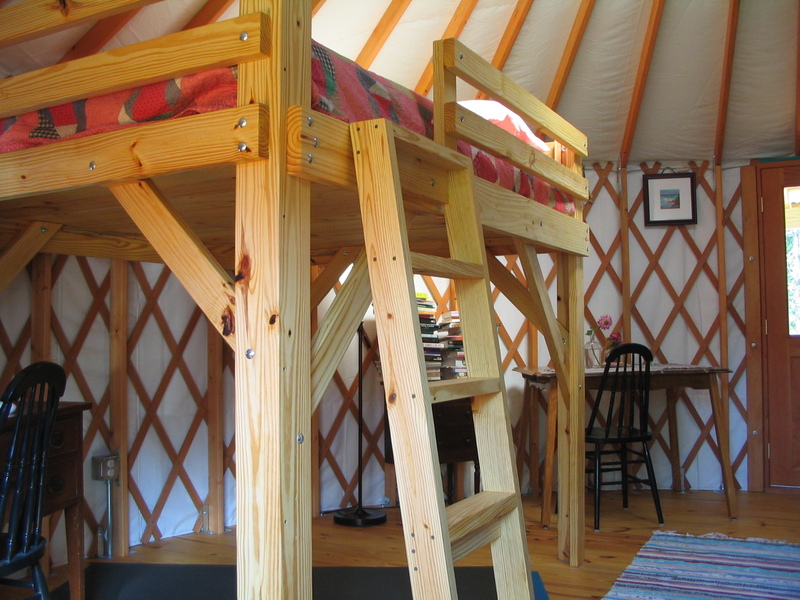 Gavin designed the loft to use up the leftover tongue and groove pine floor boards from the yurt deck project. 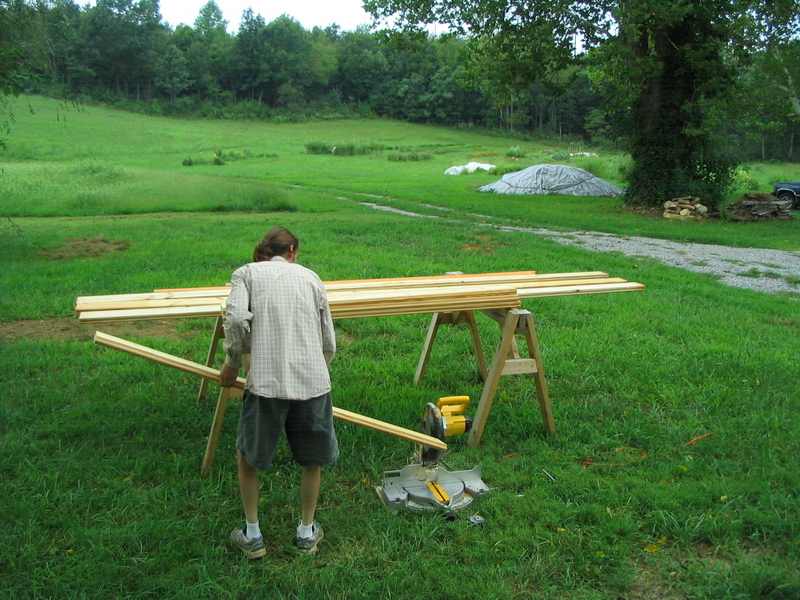 Here he is cutting the pieces to length. 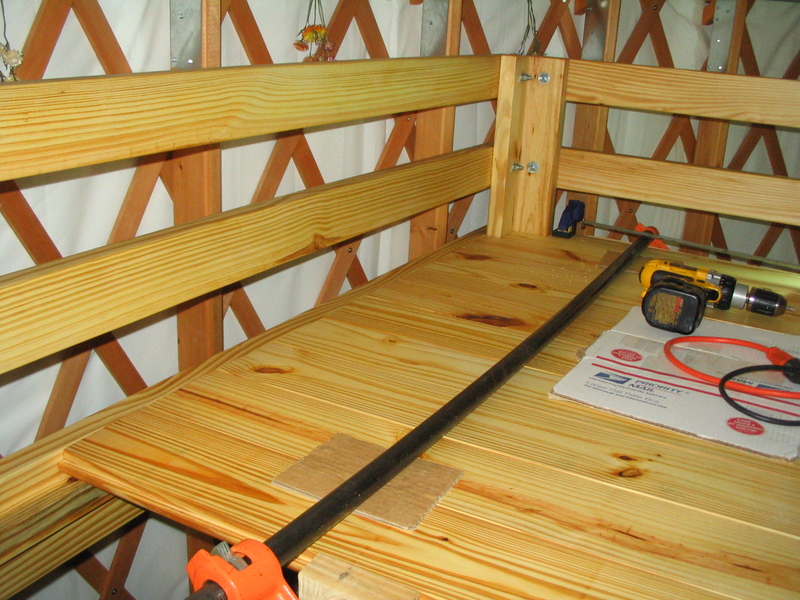 After all the planing and cutting, he assembled the loft pieces in the trailer. Then disassembled them. Next came the tedious job of sanding and finishing each piece. This is the oil we’ve used for finishing all the wood in our yurt (note: this does not include the studs, rafters, or lattice of the yurt, as these came from Colorado Yurts already finished). 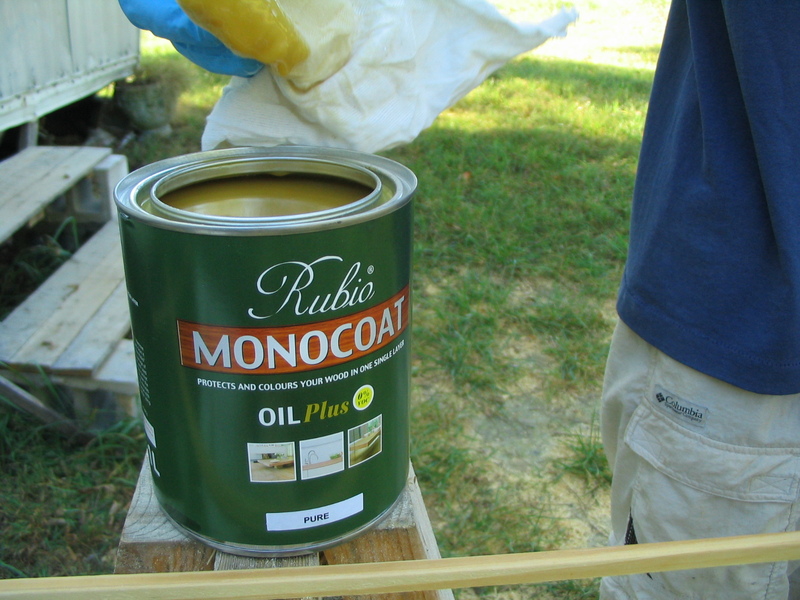 Rubio Monocoat is easy to work with and creates a beautiful natural oil finish. Assembling the finished pieces again, inside the yurt. 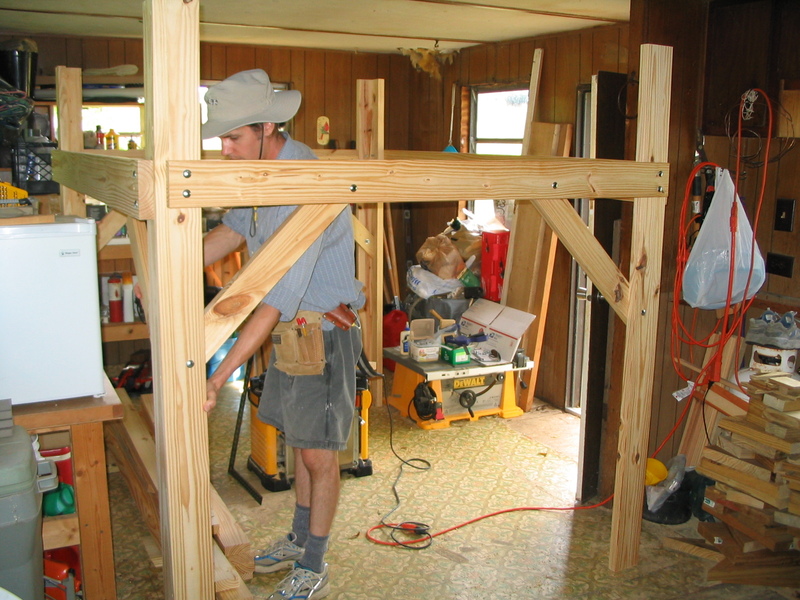 Here Gavin uses the bar clamps to build the floor platform, like we did when building the yurt deck. Finished! Check out all our new floor space!